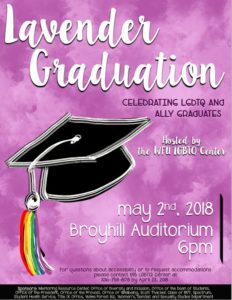 Each year the LGBTQ Center hosts a Lavender Graduation ceremony to celebrate the achievements of our outstanding LGBTQ and ally graduating students. 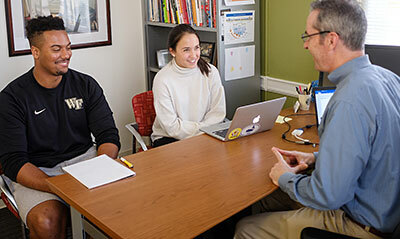 LGBTQ and ally students graduating from the College or from graduate programs are invited to participate, and the entire Wake Forest community is invited to celebrate in this special occasion. 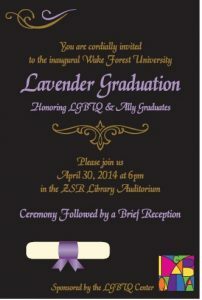 Lavender Graduation is held each spring during the evening on the last day of classes. 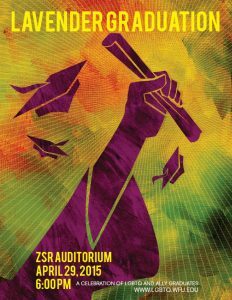 This year’s ceremony will be held on Wednesday, May 1, 2019, at 6:00 pm in Broyhill Auditorium, Farrell Hall. 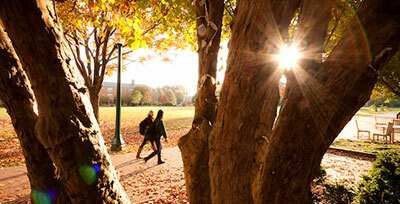 All undergraduate and graduate students are welcome! 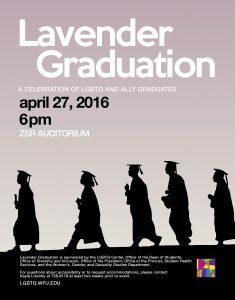 Lavender Graduation is a unique ceremony held each year to recognize graduating LGBTQ and ally students and honor the struggles many LGBTQ students face in accessing and achieving in their education. 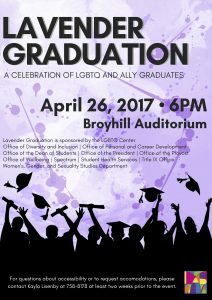 Lavender Graduates are recognized at the ceremony and will receive a lavender cord, certificate, and small gift from the LGBTQ Center. 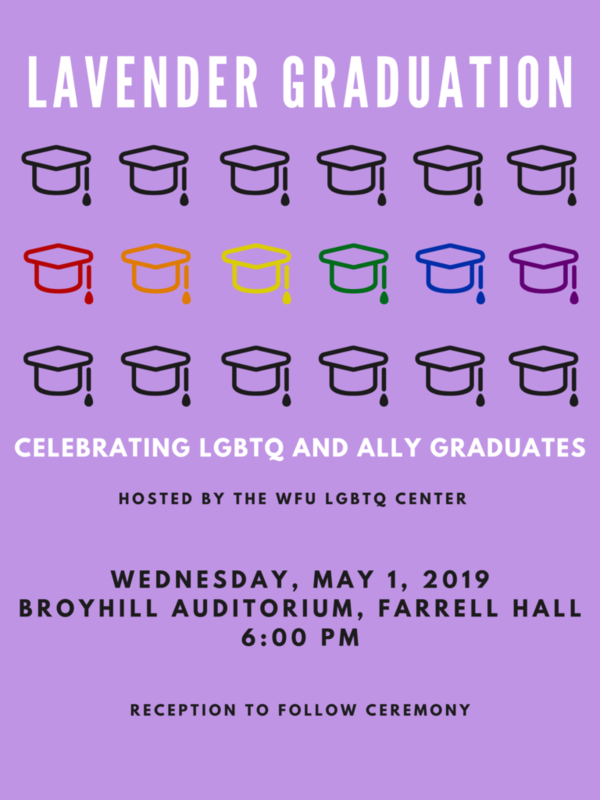 Graduating LGBTQ and ally undergraduate and graduate students – registration for Lavender Graduation is currently open, and we invite you to participate and be recognized! 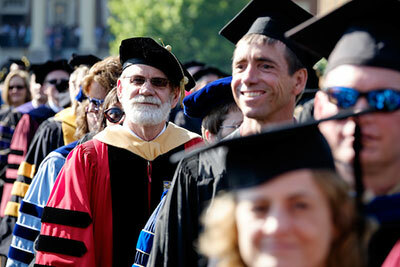 Graduating students can register here. 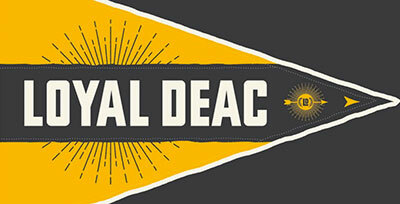 Registration must be in by Wednesday, April 17th, in order to confirm listing in the program.